Advance Credits from Financial Assistance have been updated with the HSSU Bookstore. Check your Hornet email account. 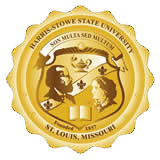 An e-mail has been sent to those students with a Financial Aid Advance Credit at the HSSU Bookstore.